With the the Holidays fast approaching, it's a great time to create new dishes for your friends and family. We came up with a twist on a traditional American classic. Mashed potatoes are commonly enjoyed during Thanksgiving, but are popular during Christmas as well. It's warm, comforting, filling and easy to prepare - but it's still just potatoes. Today we came up with a great recipe for you! 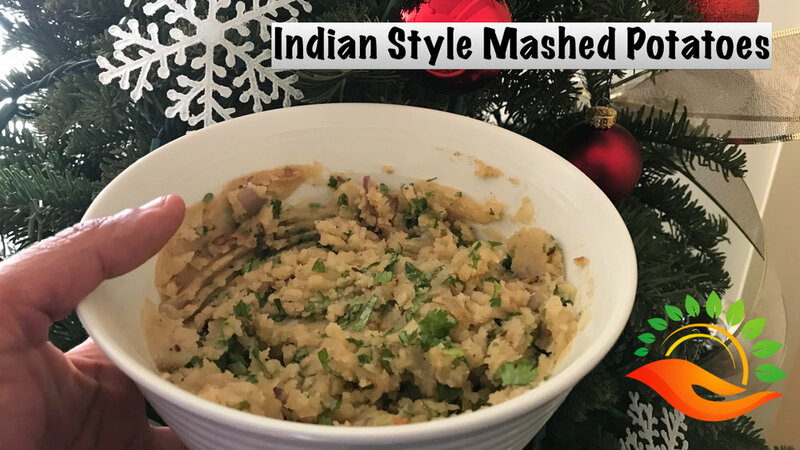 Indian style mashed potatoes adds an extra element of flavor to this classic favorite. Check out our recipe and video on how to make this dish below. add in onions, garlic, green chilies and a dash of red chili powder. add all ingredients in pan into mashed potatoes bowl.